We all care about our health. With an ageing population and chronic disease illness and mortality at an all time high, taking care of our body and wellbeing is as important as ever. The 3 major influences on our health include genetics, the environment and our lifestyle choices (1). We have very little control over how our health is predisposed genetically, so it is essential to focus on environmental and lifestyle factors. Environmental factors encompass surroundings such as parks, recreational facilities, pollutants and access to medical care. For the most part, positive changes have been made to remove negative environmental influences on our health. Thus, we are left with our lifestyle or behavioral choices. While this is the factor that we have the most control over, it is often the factor we neglect, while little has been done to target positive behavioural change. This negatively impacts our health and is the primary reason that chronic conditions have continued to grow. The two primary behavioural choices that can influence our health include diet and exercise, as well as other positive health choices such as not smoking. While these two must ideally be combined to best benefit our health, this article will focus on the benefits of exercise. Medicine is defined as the science or practice of the diagnosis, treatment and prevention of disease (2). It is therefore astonishing to learn that exercise is still often not prescribed as medicine despite the numerous benefits it can have concerning the prevention and treatment of chronic disease. Exercise has been proven to provide benefits in preventing and managing chronic conditions including arthritis, osteoporosis, cardiovascular diseases and certain cancers, while it has also been shown to improve psychological wellbeing. In fact, concerning type 2 diabetes exercise has not only been shown to help with prevention and treatment, but when combined with nutritional changes, type 2 diabetes has in fact been shown to be reversible! (3). An example to elaborate on these benefits may involve osteoporosis. Osteoporosis is characterized by low bone mass and deterioration of bone tissue leading to compromised bone strength, which predisposes an individual to an increased risk of fracture. The biggest modifiable risk factor for osteoporosis is physical inactivity. Bones adapt to the stress placed on them, and therefore exercise is ‘bone-building’ and leads to maximising peak bone mass, prevention of age-related bone loss and prevention of falls due to improved strength and balance (4). Hence, exercise can be used to maximise bone strength and prevent the onset of osteoporosis, while it can manage already diagnosed osteoporosis by improving bone mineral density and reducing falls risk, while it is associated with improved outcomes following a fracture (5). Cancer is and will remain the leading cause of death. 75% of cancers have actually been shown to be preventable, largely due to behavioural changes such as diet and smoking, as well as physical activity due to its link in reducing obesity (6). In terms of prevention, there is a growing body of evidence that exercise protects the development of breast, colon, endometrial and prostate cancer (6). Furthermore, exercise has been shown to improve clinical outcomes during treatment, including improved survivorship, reduced co-morbid conditions, reduced fatigue and impact from treatment, as well as improved quality of life (7). Exercise may reduce tumour growth via several mechanisms including improve immune function, while it has also been associated with a reduced chance of cancer returning post-treatment (7). These are just 2 examples of many surrounding the use of exercise in the prevention and treatment of chronic disease. 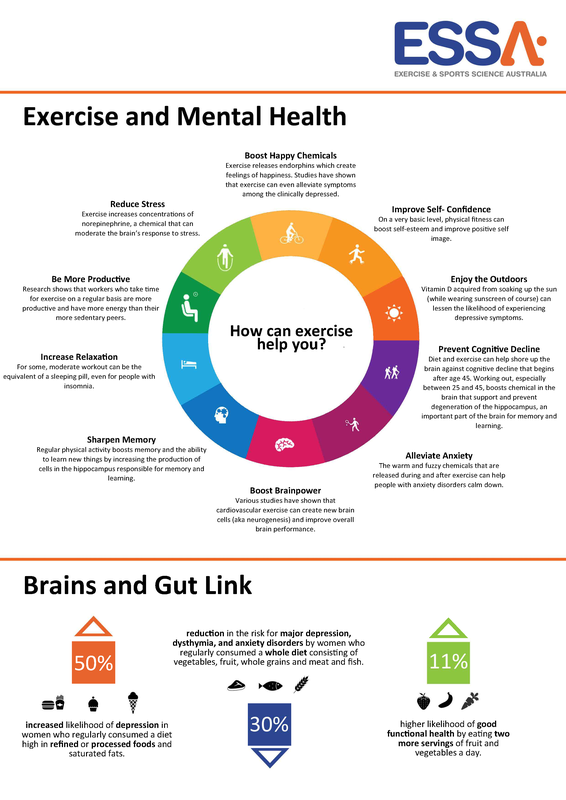 If physical exercise can produce all these benefits, why isn’t it being prescribed as often as medicine? At Inspire Fitness and through initiatives such as Exercise is Medicine we are working towards making exercise a standard component of chronic disease prevention and management. Our team of Exercise Physiologists develop individualized programs for an array of clients in order to prevent and treat chronic disease, whilst improving longevity and quality of life. ​If you want to begin making these positive lifestyle choices please contact us on 9857 3007 so we can begin working towards a healthier future! 1. Sallis RE. Exercise is medicine and physicians need to prescribe it!. British journal of sports medicine. 2009 Jan 1;43(1):3-4. 3. Scherger JE. Type 2 Diabetes Is Reversible. Internal Medicine Alert. 2018 Mar 1;40(5). 4. Sinaki M. Exercise and osteoporosis. Archives of physical medicine and rehabilitation. 1989 Mar;70(3):220-9. 5. Singh NA, Quine S, Clemson LM, Williams EJ, Williamson DA, Stavrinos TM, Grady JN, Perry TJ, Lloyd BD, Smith EU, Singh MA. Effects of high-intensity progressive resistance training and targeted multidisciplinary treatment of frailty on mortality and nursing home admissions after hip fracture: a randomized controlled trial. Journal of the American Medical Directors Association. 2012 Jan 1;13(1):24-30. 7. Pedersen BK, Saltin B. Exercise as medicine–evidence for prescribing exercise as therapy in 26 different chronic diseases. Scandinavian journal of medicine & science in sports. 2015 Dec;25:1-72.